The other day I had the biggest craving for soft gingerbread cookies. It seems like ginger cookies are typically reserved for fall and Christmas, but why? 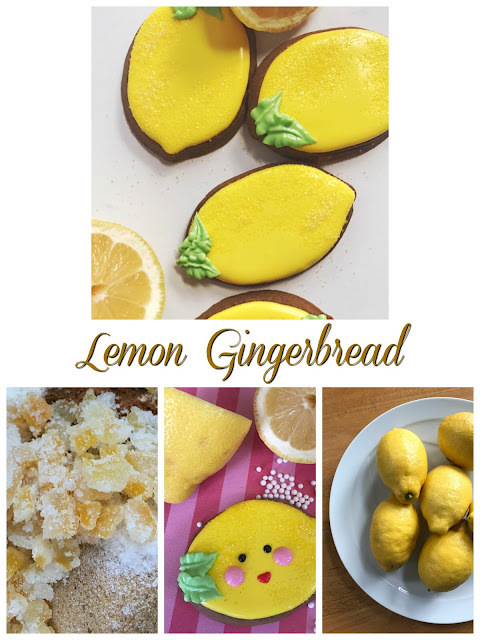 I love the spice and deep flavor of ginger and wondered if there was a way I could create a recipe that felt lighter for summer. My favorite summer flavor is citrus - so bright and clean. It seemed like a perfect pairing - spicy ginger with bright lemon. 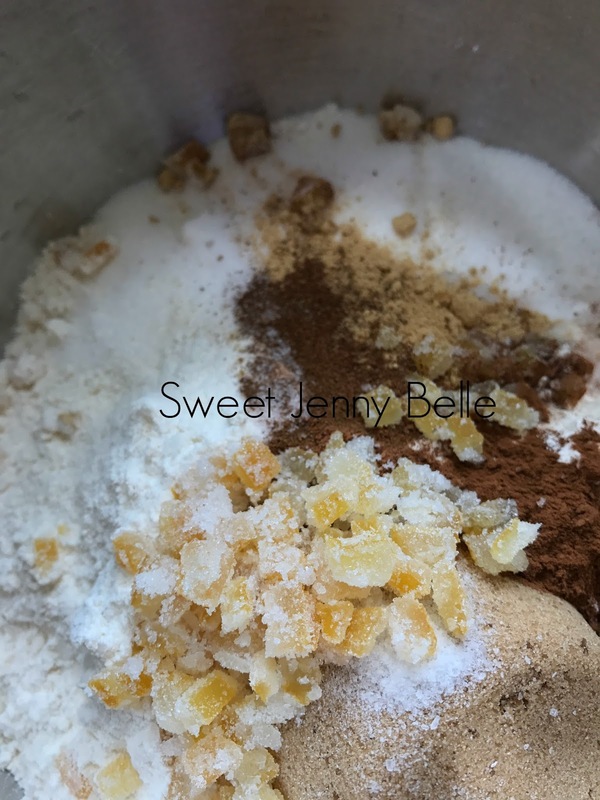 I also knew that I wanted to add in my delicious candied lemon peel (you can find the quick recipe here). OK, so let's make it! Aren't they pretty and just scream summer? 1. In a large mixing bowl, combine all dry ingredients (flour through nutmeg). Gently mix together and set aside. Be sure that the candied lemon pieces are coated with the flour mixture. 2. 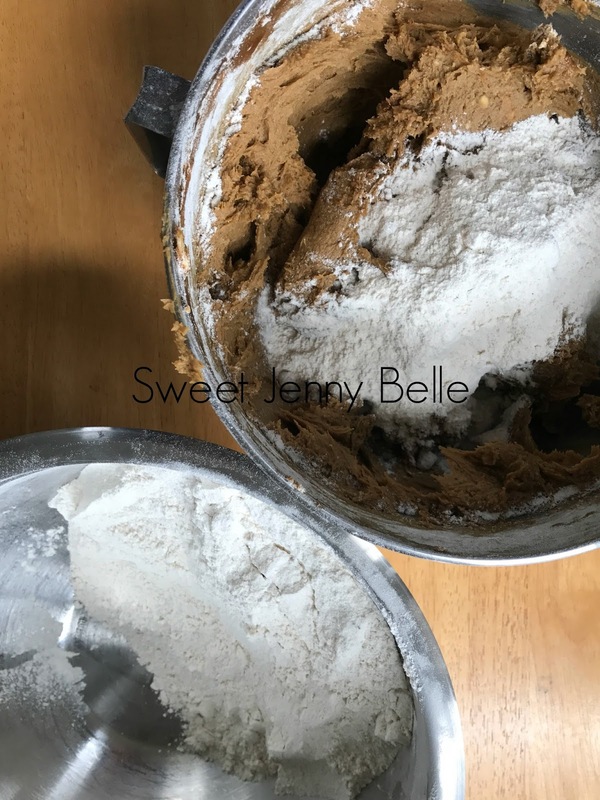 In a stand mixer, cream softened butter with the two large eggs and molasses until well combined. This mixture is going to be super sticky, don't worry - all that molasses will be soaked up with the dry mixture. 3. Carefully add the dry mixture to the creamy butter bowl. I add a few cups of the flour to the butter and turn on the mixer, blend until well combined. Repeat until all the flour has been added. *Again, this is super sticky - it will be helpful if your hands are floured as well. Do not fear flour with this cookie recipe. 4. 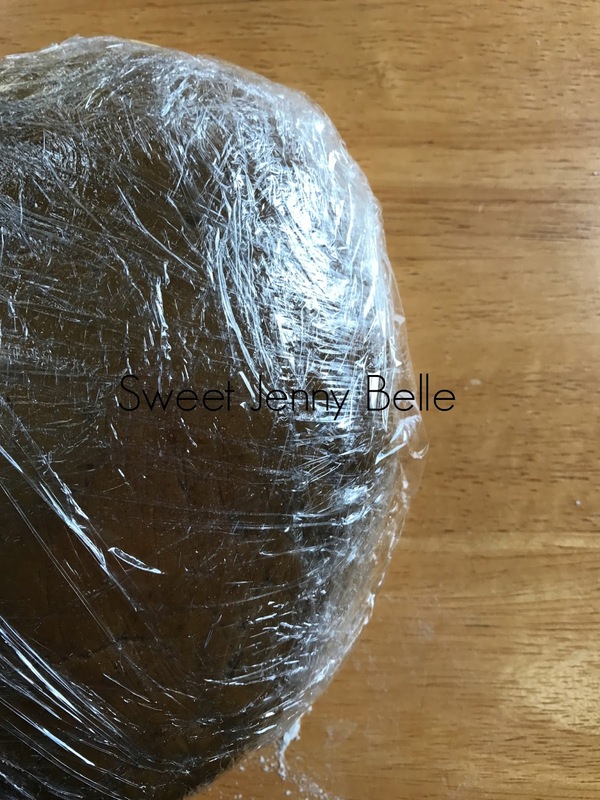 Plastic wrap the dough tightly and chill in the refrigerator for at least an hour and up to overnight. The colder the dough is, the easier it will be to roll and cut cookies. 5. 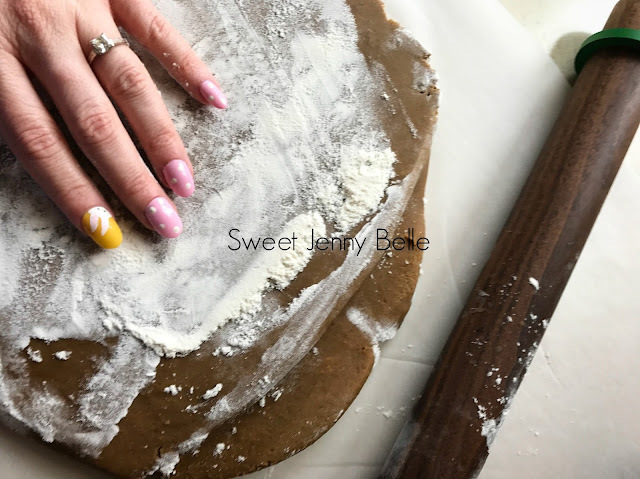 When your dough is nice and cold, place on a floured surface and liberally add more flour to your hands and rolling pin. Roll out to 1/4" thick and cut desired cookies. Bake at 350 for 9-11 minutes. 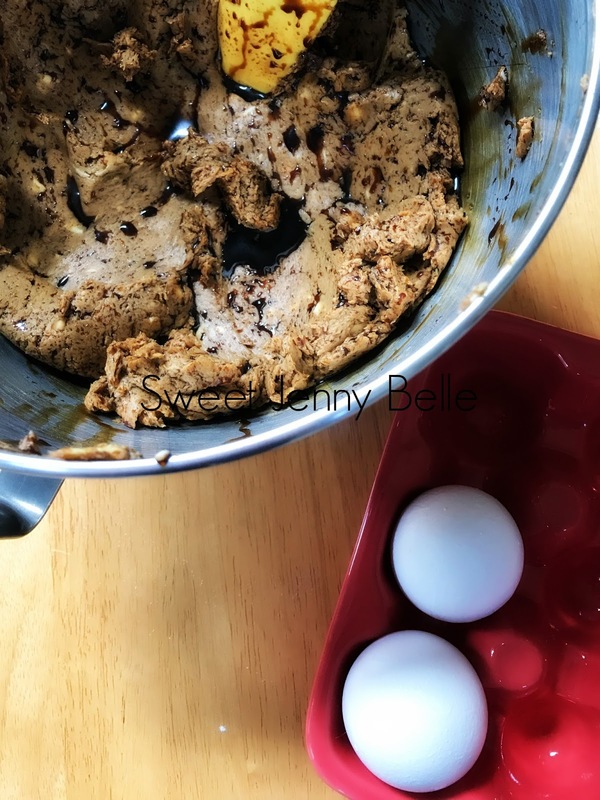 Your cookies should be slightly browned at the edges, but will have a very soft bite - so sweet and delicious! Allow cookies to cool on a rack and prepare your buttercream or royal icing. My daughters thought these lemons were snooze boring and demanded some with fun faces! And I am here to please, here is a Kawaii version of the sweet lemons. I'll be adding a quickie video on my Instagram feed on how to add the faces - so easy and fun. How cute for a little girl's tea party? Are you wanting to decorate those cookies with royal icing? You can find my recipe here. Where did I get my lemon cookie cutter? You can pick your up from Bobbi on Etsy over here.